8-18 July, 2019, The International Union of Geodesy and Geophysics (IUGG) General Assembly, Montreal, Canada. Geothermal energy is considered a renewable form of energy that can partially fill the increasing human demand. Yet only a few countries, located in high heat flow regions of the Earth can benefit from high-enthalpy resources to produce electricity. However, low to very low enthalpy geothermal resources are increasingly in demand, especially in cold northern countries such as Canada, Norway etc. Here, heat extracted from groundwater can be sufficient for domestic heating/cooling uses, particularly in remote areas. 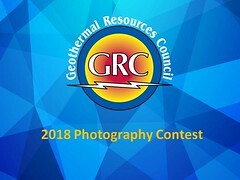 This symposium will be devoted to all aspects of geothermal energy, from exploration to exploitation and tools (geophysics, geochemistry, geology etc.) needed to evaluate the extent of this resource.